We integrated a bronze plaque into Round Pond Estate Winery's monument sign, the contrast of the plaque against the stone is an effective and elegant sign solution. 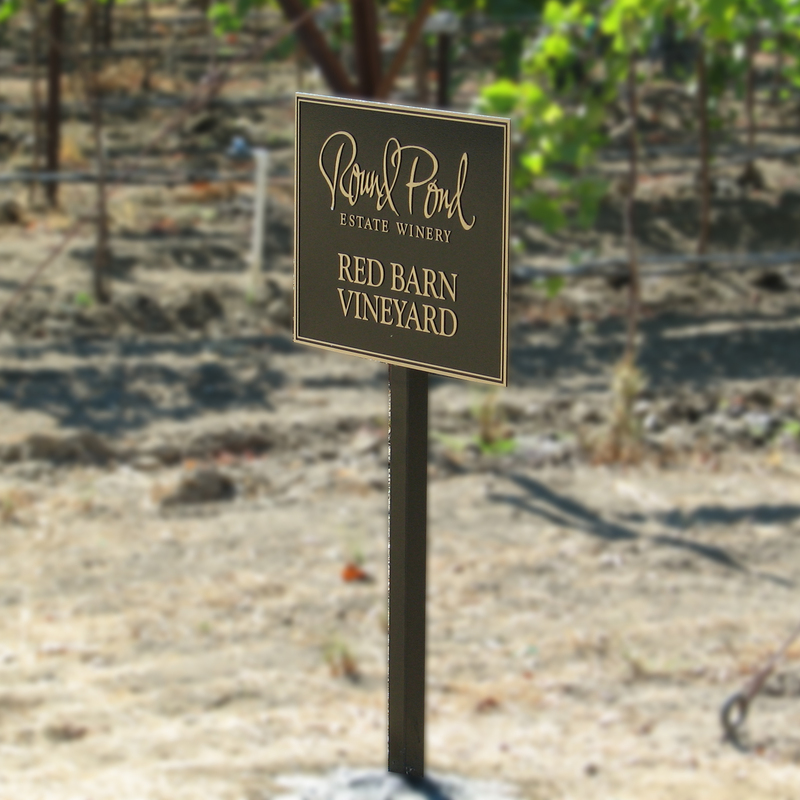 Round Pond Vineyards commissioned several elegant bronze plaques to guide their customers to key sites of their vineyard. 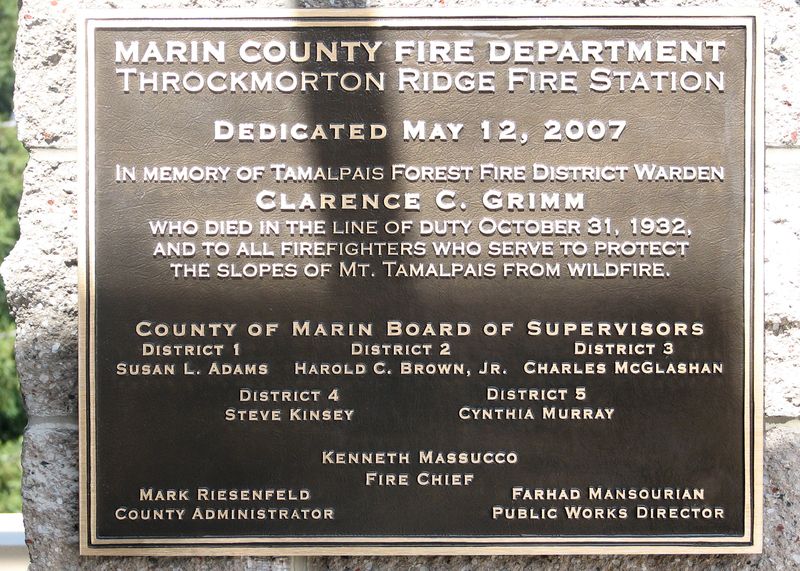 We were honored to work with the Marin County Fire Department to commemorate Clarence C. Grimm, a fallen hero. This plaque was cast in bronze with raised lettering. 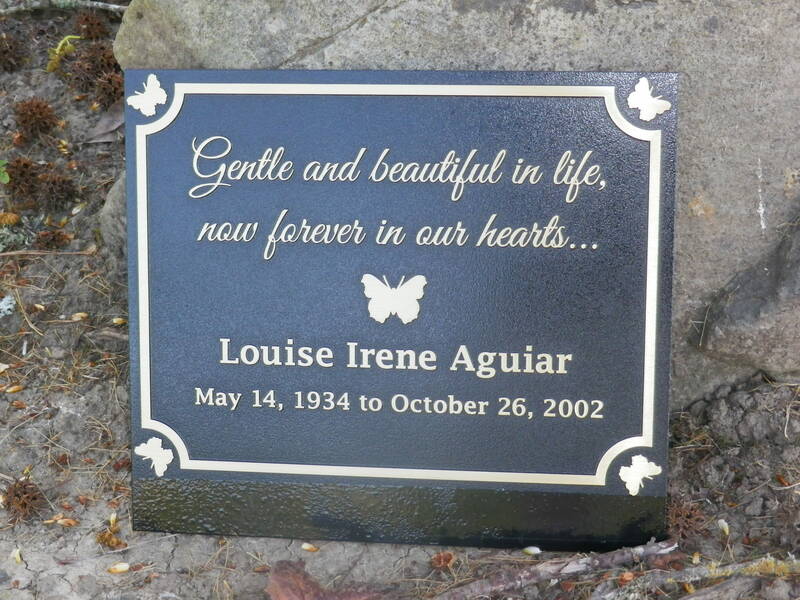 One of our clients wanted to honor her Mother with a commemorative plaque for her families garden, that celebrated her mothers life and love of butterflies, we were honored to be able to customize this request. We offer plaques and signs in a wide range of materials, including bronze, brass, stainless steel, aluminum and more. Whether you are looking to have text engraved on a simple bronze custom plaque, or would like to replicate the custom colors of your logo on stainless steel, Insight Signs & Graphics will translate your marketing vision into the beauty of a custom plaque. Plaques are not for business alone, they are a timeless way to honor a loved one or commemorate a special place in your life. Make a timeless statement today, give us a call at 707-887-1303 or contact us today to request a FREE quote.